Facebook Messenger App has proven to be a smarter alternative for the web version for phone users. From J2Me to Android, users have found it pleasing to chat with friends and family using this app. No doubt, Facebook proudly records over 2 billion users across the globe, providing innovative features, products and services that do not only fascinate individual users but help businesses grow also. This has ensured that they stand the test of competitions from several platforms. Though they opened the world of business to individuals and businesses, the ability to chat, share photos and videos, and mingle with people, generally, ranks top amongst their services. 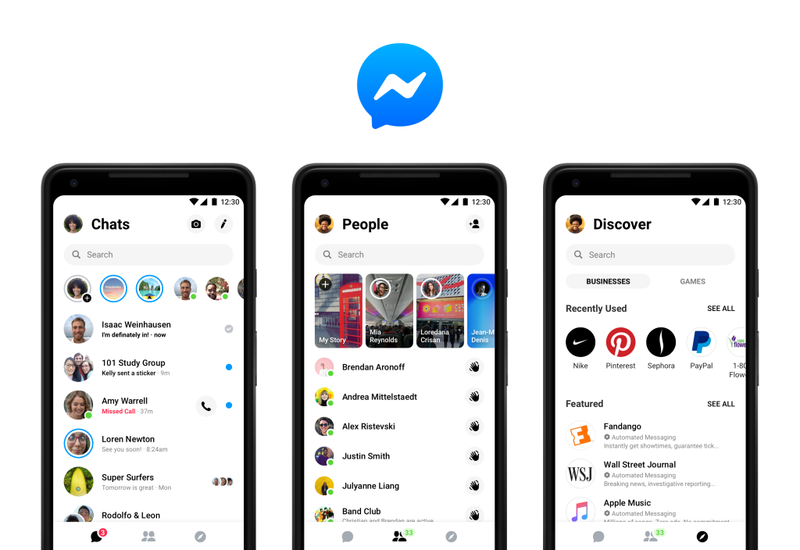 To keep the above services up and doing, Facebook announced the release of New Messenger 4 as an improved version that integrates some features that users have canvassed for relative to other social media platforms. This app will be rock and roll when it hits smartphones and social media. It’s just a way of adding more meaning, value and excitement to the already fun-filled social media platform. Why New Facebook Messenger 4? Facebook didn’t come with the idea of developing Messenger 4 without background studies and needs. In fact, a report on Facebook Newsroom reveals that two separate companies conducted research to determine key features that will benefit users. Though one can argue that the recent bugs that have given room for data theft might be a factor, it’s obvious that this latest version takes the security of users into consideration. Well, according to the app’s VP, two key facts are strongly behind the development of Facebook Messenger 4. 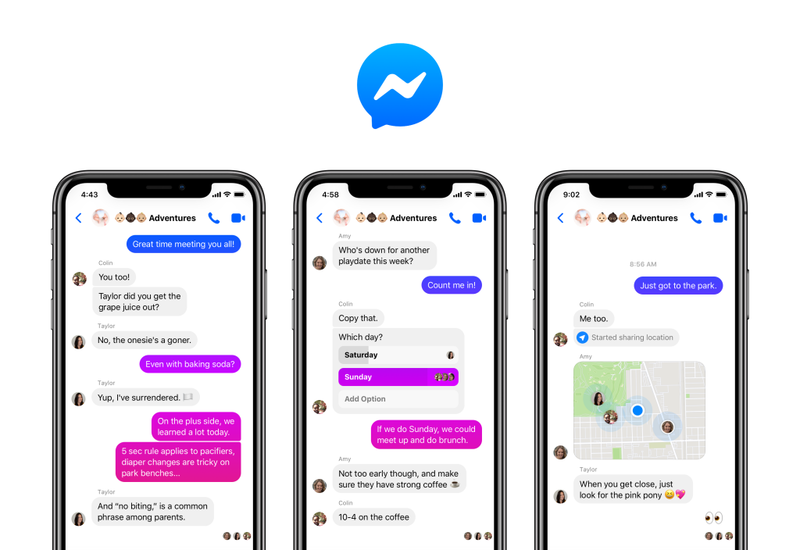 First, a survey conducted by Kelton Global in August 2018 among 5012 adults revealed that 71% of users picked simplicity as a top feature that a messaging such as Facebook Messenger should have. Similarly, another survey by Greenberg Strategy showed between July to August 2018 among 6003 adults showed that 62% of those who use messaging apps feel closer to their friends. It is believed that the findings from the above analyses informed the reasons for rolling out the New Facebook Messenger 4 to further meet users’ demand for simplicity and empower their connections to friends and family via chats, amongst others. Well, Facebook has rolled out some of the features of this app. So, if you’ve installed Facebook Messenger app on your device before, simply update the app from your preferred Apps’ store such as Google Play, Apple store, among others. Do same for fresh installations. Visit your preferred App store search for Facebook Messenger 4, and install on your device. This update features some fascinating features broadly divided into three and has been hugely improved upon to wet our social media desires. The watchword remains the same, “Simplicity”. New Messenger 4 integrates features that make it easier for users to access without stress or technicality of any sort. So, fear not! Starting with the tabs, three Tabs have been rolled out instead of the usual nine to allow users focus on what is relevant. The Chats Tab, People Tab and Discover Tab offer unique features and access to what is previously known, but in an easier way. The Chats Tab presents visual communication features in positions that are easier to access. For instance, the Camera is nicely positioned at the top to enable users to capture and share selfies and bothies. Same with the call feature that allows you to make voice calls to your friends. Access latest stories, lookup up for people and friends, and quickly view those that are active (online) using the People Tab. Then, discover the latest business deals, play games, read the news, connect with businesses, book a vacation, and do lots more with the Discover Tab. This keeps the fun going and brings a whole load of new excitement to users. The Color gradient feature allows users to use multiple colours in defining their moods during chats with friends. For instance, a particular chat can change from blue to red - based on the custom colours you have chosen – to depict both the topic of the conversation and tones (moods) of the parties involved. This feature will easily help friends understand when the next party is feeling uncomfortable with a particular topic or the nature of the conversation. Such understanding can help people change topics or language used in order to align with friendly communication. While such is seen to be an excellent feature that will add excitement to our chatting experience, it, however, depends on the choice of colours one prefers. I can use red for happy and comfortable topics and chats, and use green for offensive and uncomfortable topics and chats. No doubt, security is at the very top of recent releases and updates by Facebook as individual data protection has become a critical concern in the technology world with recent data breaches across Europe of which Facebook is no exemption. A previous report by Facebook claimed the Tech giants have taken into consideration the need to further strengthened the security features of their products across boards to keep clients on the safer side against malicious attempts by hackers. The new Facebook Messenger 4, therefore, integrate security features to ensure that communication between and among friends remains safe and that users' details are well-protected against theft. Facebook hinted that they are not rolling out all the new features of the app at once as they understand the difficulty users face in identifying new features on updated apps. As a result, the features will be rolled out gradually starting with the aforementioned visual features – Tabs restructuring and Color gradients. So, other features to be introduced as time progresses will include a simplified and screen-sized interfaced and Dark Mode which other Social Media platforms such as WhatsApp and Twitter have integrated into the versions of their apps. What about the old features? Though visual improvements and updates have been made, much of what is well-known in previous versions remains the same. The core functionality that cuts across chats, newsfeeds, contacts management, among other remains the same. While Messenger 4 is all about simpler and easier-to-use messaging, we’re still keeping all of the features that help you connect with the people you care about. So, you can be assured that those features that intrigue you will be there for you to use when all these features are reflected in your updated app. As we keep sharing our thoughts and moments with friends, it’s necessary to keep up-to-date with the very apps we use to do so. This will help us to enjoy the latest features and equally protect us against security leakages. 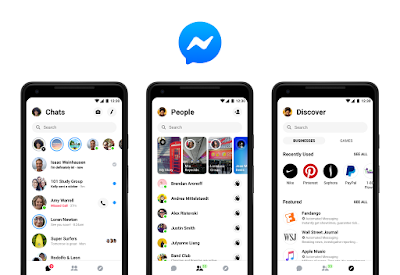 The update on Messenger 4 is worth the shot as these and many other features that will be introduced will keep us connected and closer to those we prioritise in our lives.